KELOWNA, May 20, 2015 - Kelowna is home to world-renowned, nationally recognized, and otherwise excellent businesses. With each year that passes, more and more developers, entrepreneurs, corporations and the commerce-savvy are recognizing the economic viability and feasibility of Kelowna as a place for business. 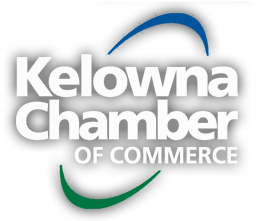 For the past 27 years, the Kelowna Chamber of Commerce has been celebrating business excellence during small business week (3rd week of October) and has handed out nearly 200 awards to well-deserving businesses at the Annual Business Excellence Awards Ceremony. With the ongoing support of key sponsors such as Farris and the Business Development Bank of Canada, we have been able to carry on this tradition and host this prestigious event. This year's Business Excellence Awards have been enhanced with the addition of two new categories, refinement of others, and the introduction of the 1st Annual Nominee Reception & Judging Kick-Off Party! After a review of our annual awards process, categories and ceremony, the Kelowna Chamber of Commerce determined that this year's awards needed to develop in order to reflect the changing business environment in the Valley. It is common knowledge that 95% of the Okanagan's businesses employ fewer than 20 employees. 85% of those businesses fit into our "Small Business of the Year" category (which was defined as employing 1-10 individuals). Upon further research, we realized that 73% of those businesses, actually employed 4 or less individuals!1 Thus the creation of the Micro- Business category. This new category is for businesses with 1-3 employees, and the Small Business category has been revised to recognize businesses employing 4-15 employees. During our review we also recognized the need to include a trending business model which has had a major impact on BC over the past couple of years. Social Enterprises - organizations committed to a social mission that direct their revenue to drive social change - have generated over $60 million in revenue and provided services to over 700,000 people.2 We agreed that this year's awards wouldn't be complete without a social enterprise aspect and as a result, the Social Entrepreneurship category was born. The call for nominations is open until June 12th!